On arrival at Cairo Airport, you will be met by our local representative who will welcome you and transfer you to your hotel in Cairo. Rest of the day is free for personal activities. 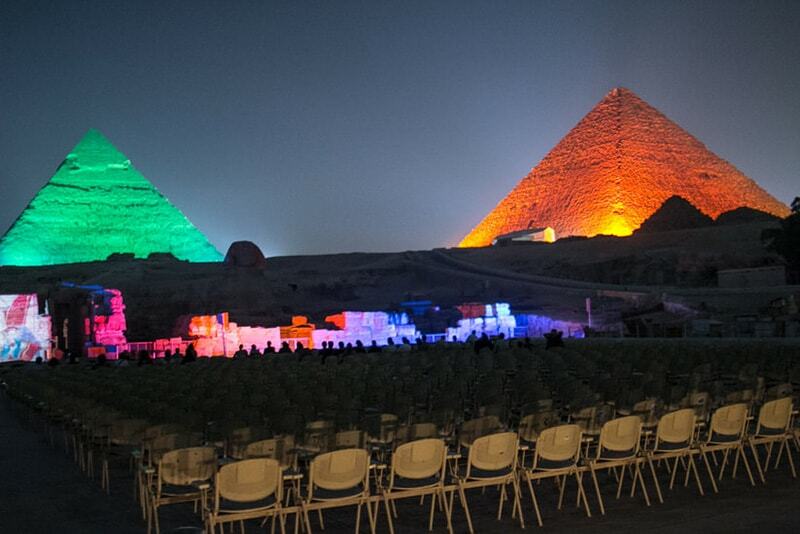 Overnight stay at the hotel..
Dat free, Sound & light show at the pyramids . After a buffet breakfast at the hotel, the day is free for you to relax in the comfort of your hotel. 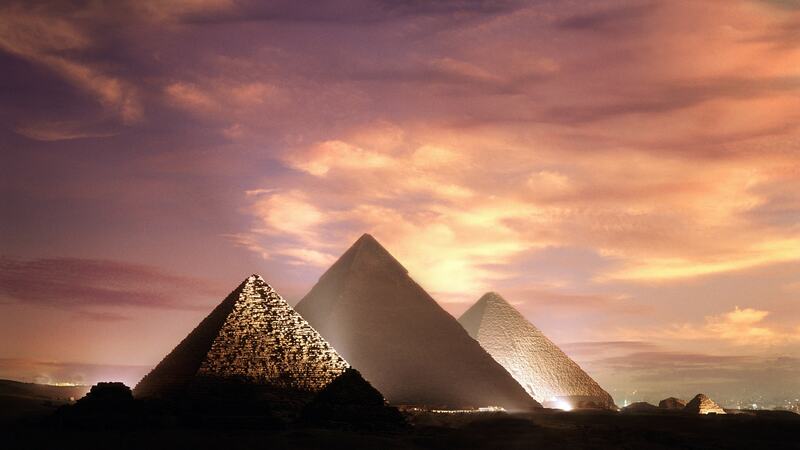 Or, go shopping for Egyptian artifacts and explore the ciry of Cairo on your own. In the evening we take you to see the great Pyramids and the Sphinx magicaly lit in an awe-inspiring Sound and Light Show. Overnight stay at the hotel. 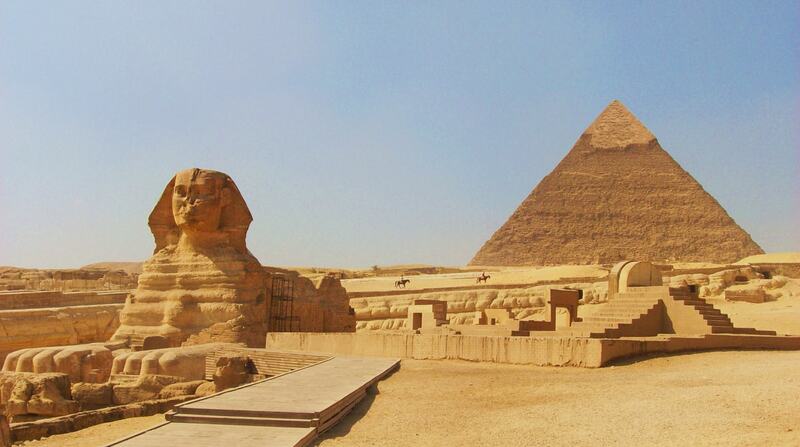 After a buffet breakfast, we take you on a full day cio/ tour of Cairo, the heart of Egypt. Visit the Great Pyramid of Khufu, one of the seven wonders of the world, the Pyramid of Menkaure, Pyramid of Khafre and the Sphinx. We visit the Papyrus Institute and see some beautiful paintings being made. Later, visit the Egyptian Museum, which houses over 100,900 antiquities from every period of ancient Egyptian history. We proceed to the medieval Bazaars of Khan-EIKhalili where you can spend time shopping for perfumed oils, spices, precious stones and curios. Overnight stay at the hotel. After breakfast at the hotel, transfer to the airport for your flight to Luxor. We arrive into Luxor. On arrival, we take you on a tour of the East Bank of Luxor to visit the temples of Karnak and Luxor. We first visit the magnificent Temple of Karnak. The majestic avenue of ram-headed sphinxes, the colossal statue of Pinudjem and the sight of its Sacred Lake will leave you awe-struck. We now board our exciting Nile Cruise for a great five day journey on the scenic Nile River.Later, we visit the West Bank of Luxor. Our first stop is the Colossi of Memnon. These two giant statues are all that remain of the mortuary temple of Amenophis III. We proceed deep into the desert to explore the Valley of the Kings. After breakfast on board the cruise. the morning is free for you to relax. Enjoy the sights of the Nile River from the deck. as your Nile Cruise sails towards Edfu via the Esna Lock. Here the cruise will take a brief halt and you will get an opportunity to do some uniQue bargain shopping with vendors who sell their products from small boats that come near the Cruise. On arrival in Edfu. 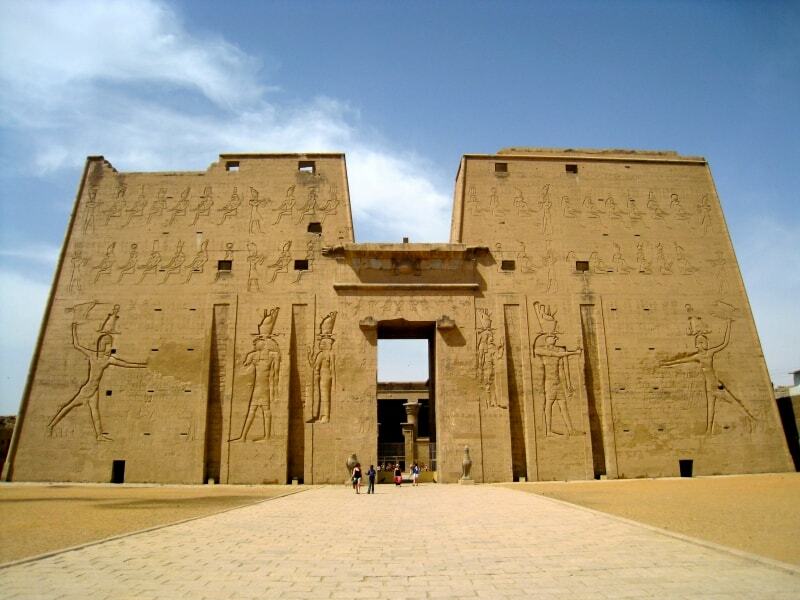 we take you by a horse carriage on a shore excursion to visit the Temple of Edfu. 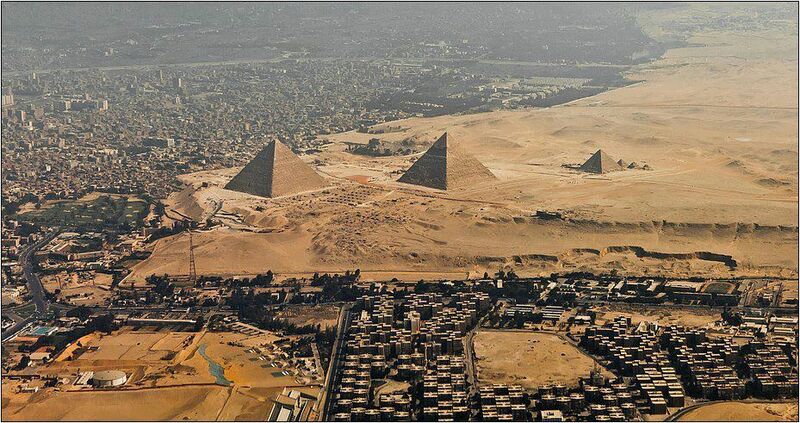 Of all the temples of ancient Egypt. The one at Edfu is the most complete and best preserved. The temple had been total!y submerged under the desert except for the very top of the pylon entrance. Overnight on board the Nile Cruise. As you enjoy your breakfast, we sail into Kom Ombo. Here we visit the Temple of Kom Ombo. This uniQue temple is in fact the fusion of two temples. set side by side, with each side having its own gateways and chapels. The left side of the temple is consecrated to Horus the elder the falcon-headed God. The right part of the temple is dedicated to Sobek - the crocodile God and God of Fertility. Our Nile Cruise now begins to sail towards Aswan. Overnight on board the Nile Cruise. After a buffet breakfast on board, the day is free to explore Aswan on your own. Or take an exciting optional tour to Abu Simbel by flight. Abu Simbel is a magnificent temple built by Ramesses II in ancient Nubia. 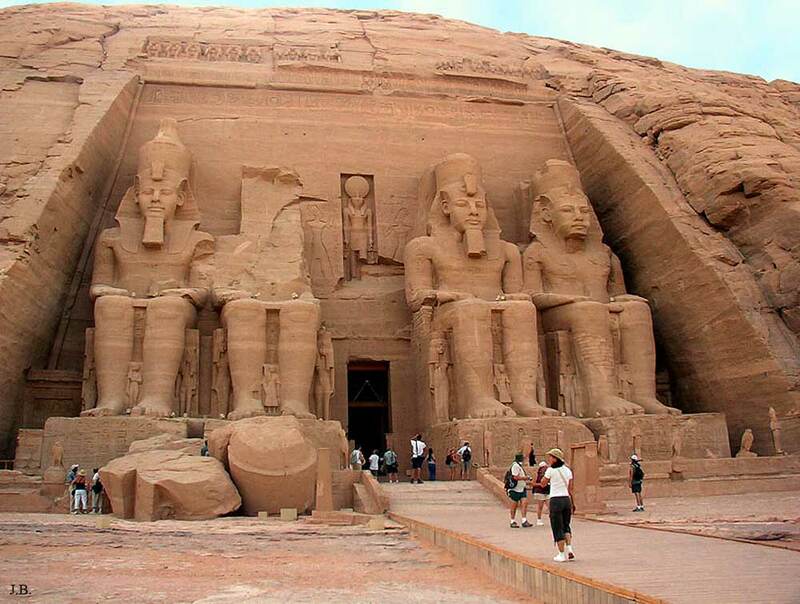 Four colossal 20 m high statues of Ramesses II sit in pairs flanking the entrance. The alignment of the temple is such that twice a year the sun's rays reach into the innermost sanctuary to illuminate the statues of Ptah, Amun-Re, Ramesses II and Re-Horakhry. The temple was cut out of the sandstone cliffs above the River Nile. Overnight on board the Nile Cruise. "Today, after breakfast, we proceed on a tour of the ciry of Aswan. 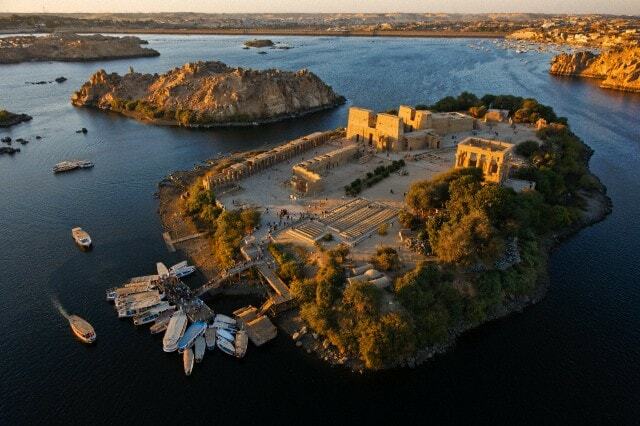 Visit the High Dam of Aswan, the pride of Egypt and an ideal spot for a panoramic view of Aswan. This is where Egypt ends ~nd Nubia begins. We then take you to see the Unfinished Obelisk. This Obelisk was never detached from the rock as it developed cracks in several places. Later, we proceed to see a demonstration of scented oils used to make perfumes at a Perfumery. We check out from the cruise and continue our tour of Aswan. 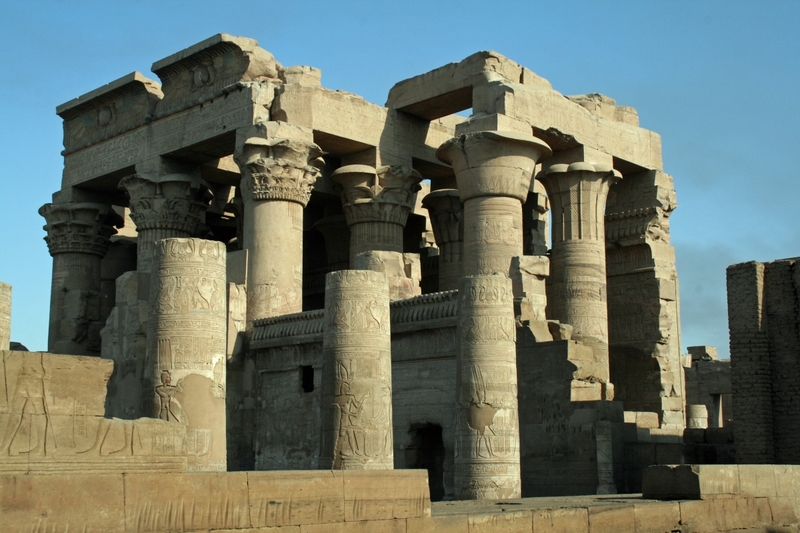 Visit the Temple of Philae, one of the three best preserved temples of Egypt. On arrival in Cairo, check into the hotel. After breakfast at hotel, transfer to the airport for your flight to India.